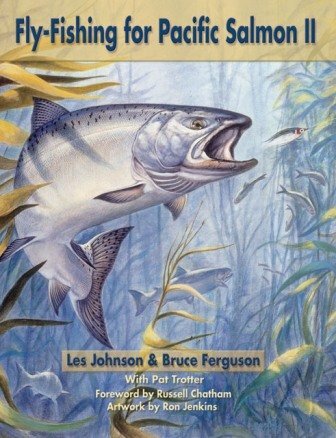 Book-Fly Fishing for Pacific Salmon II-Johnson, A completely re-written and updated follow-up to Les Johnson’s 1985 classic. 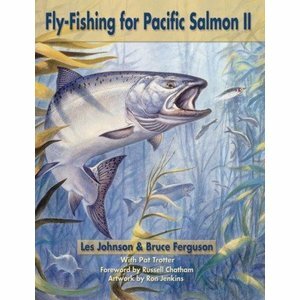 Incorporates the knowledge of many respected people throughout the Pacific salmon fly-fishing community: lodge owners, guides, members of sportfishing clubs, tackle manufacturers, biologists and technical experts; along with an elite group of legendary guides. 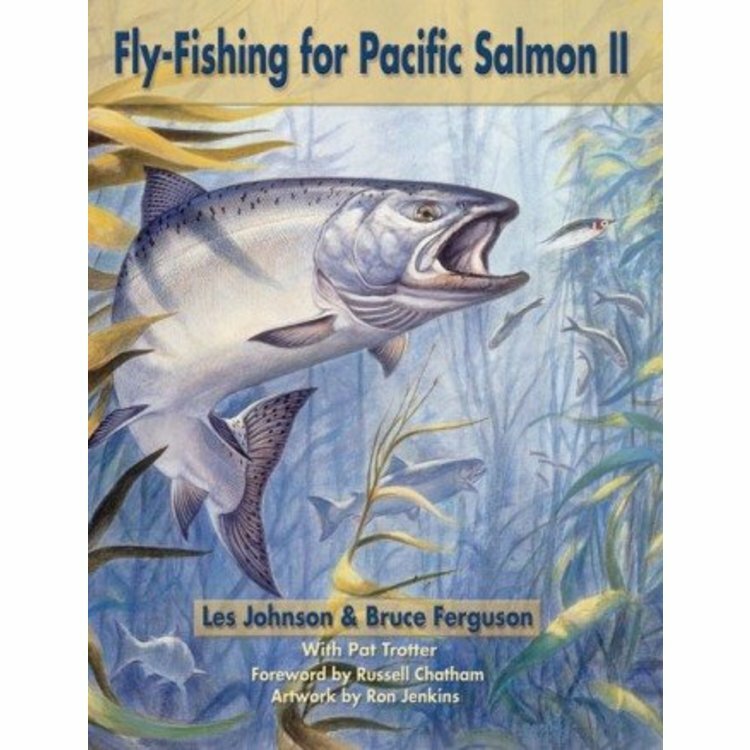 Fly-Fishing for Pacific Salmon II includes an expanded history of the fishery; new full-color identification paintings of the five Pacific salmon species; additional photos of salmon feed; fishing in fresh and saltwater utilizing new techniques and tackle; and a chapter on fly patterns―classic and new―for use in fresh and saltwater, contributed by fly tiers along the Pacific coast from California to Alaska. There is also a brand-new chapter on the art of bucktailing. Hardcover edition.